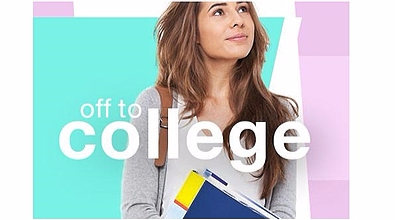 It's Back to School Shopping time again: The time of year when parents are preparing to send their high school graduates off to start a new journey in college. This means that it's time for our annual blog: eLuxury Back to School Shopping: College Bedding Essentials Edition! As students are preparing for their first time living away from their parents, they want to make their dorm room as cozy as possible. It is easy to overlook some of the necessities for the dorm, but we are here to help determine what to remember with our list of College bedding essentials! College Dorm Essentials #1: Sheets! First, the student will need sheets for their new bed. At eLuxury, we offer an entire line of bedding sets that are perfect for your new college student! A breathable low thread count sheet set would work best for those dormitories that may not be quite as cool in the temperature department as your child may be used to at home. We generally recommend around 400 Thread Count to give that softness of their bed linens on their bed at home while still being durable for thousands of washings. A major necessity for dorm rooms that many people may forget about is a mattress encasement. In any sleeping situation, especially one in a dorm room, it is important to protect yourself against bed bugs, dust mites, and bacteria. 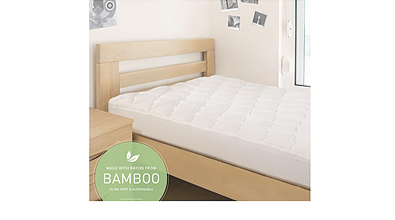 We carry a 360 encasement that will be perfect to protect their mattress. This encasement fully encloses the mattress and zips around the outside making it easy to remove for laundering. College Dorm Checklist Item #3: Pillow! No list of College Bedding Essentials is complete without a comfortable pillow! A great pillow is the best way to help your college kid to get a full night’s rest and be prepared for their day. The type of pillow that is best varies from person to person. We have many different styles that accommodate for side sleepers, back sleepers, and stomach sleepers. Nothing can ruin a good night's sleep like a bad pillow and anything that you can do to help your child to get comfortable in their new surroundings can help! Take a look at our entire collection here. Dorm room mattresses are very rarely going to be the top of the line, which can be uncomfortable when the student is already trying to adjust to everything. We manufacture various mattress pads and mattress toppers that will help make those hard-as-a-rock mattresses feel a little more like home. When back to school shopping for college bedding essentials, a great set of sheets, an encasement, a pillow, and a soft mattress pad will help your college student will be happy and well rested. If you have any further questions at all, please do not hesitate to send us an email at service@eluxurysupply.com or call us at 1-800-977-7433. We look forward to hearing from you! Do you have any other suggestions for back to school essentials for college? Sound off in the comments section below!